This is the second in my flurry of Joan Crawford recipe pics. This salad isn’t as photogenic as the Nice Salad for a Squab Dinner but it was almost as tasty. I’m a bit obsessed with mandarin segments after making the previous salad. The tinned fruit section of the supermarket is one I have never visited before, but after tasting Joan’s salad using mandarin segments I’m kind of anxious that I don’t have a tin of them in my cupboard somewhere “just in case”. 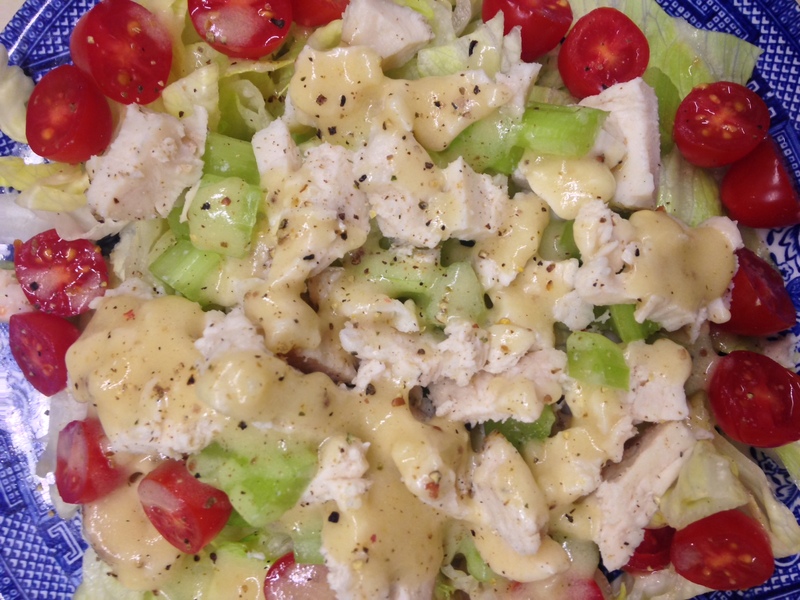 Lettuce, cooked chicken, celery, tomatoes and french dressing. Mmmmm. I ate that whole plateful of food myself. Is that greedy? 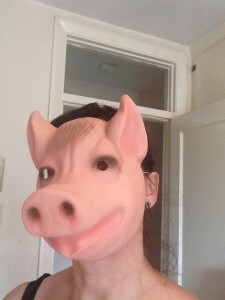 What a piglet. Talking of which, I have to dash as I am off to a wedding in the wilds of Essex. We have been asked to bring an animal mask as there will be some kind of parade after the blessing. I’ve gone for this one, what do you think?